US to UK conveter plug, Japanese to UK adaptor plug and Chinese to UK converter plug. 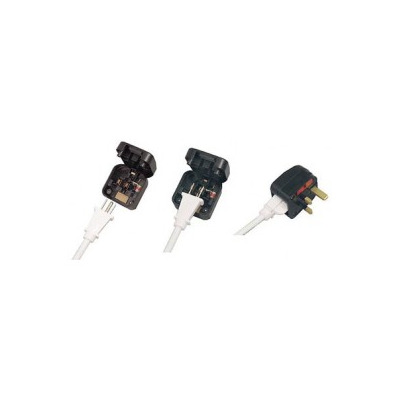 USA/Japanese/Chinese to UK Converter (ACP3): allowing conversion from American standard (3-pin) plug to BS1363 (UK 3-pin).This product also converts Japanese and Chinese plugs to BS1363. The 3 pin plug can only be located the correct way round and, once firmly held in the guide strip, the lid is closed, making the connection and securing the plug. A simple screw retainer is then tightened. Extremely useful in alternative markets the converter plug can be fitted in a moment, on a production line, or at its final destination.